I read an article in the San Francisco Chronicle today about the rise of Barefoot Cellars. Now, I’ve never discounted Barefoot. Primarily because I love a good mimosa and Barefoot, being not too expensive and in some iterations, not too sweet, is perfect for that. Mimosas every Sunday without breaking the bank! But overall, I’m haven’t been a huge fan of Barefoot’s portfolio – until I read the article. Apparently, Barefoot is a rather common entry point into wine for millenial aged wine drinkers? Why? Because it’s approachable (a colorful bare foot on the label) and affordable ($6.99 – $14.99, roughly). Take a moment, everyone who is not a millenial, and think back to when you were just starting in wine. I remember it vividly. I was away at college and for the first time, away from home. I spent way too much money on the Kentucky gem that is Purple Passion (some sort of grapey drink mixed with Everclear, handily packaged in a 2-liter) and beer. My New Year’s resolution that year was to drink only WINE. I figured I couldn’t really afford it, so I would drink less of it. By the time I left college, I’d graduated (literally) to Beringer White Zinfandel and various iterations of Turning Leaf. Now those sound rather harsh to me now (and Beringer’s White Zin profits help them create some remarkable Reserve wines you rarely hear about), but it was definitely progress. My boyfriend at the time I graduated must have recognized something in me because he bought me a lovely, vine-detailed wine rack. In fact, I only recently parted from that wine rack, almost 20 years later. My point is that, as educated wine folks, we tend to make fun or sneer at the lower end, animal/cute labeled wines. We shouldn’t. Those wines are the gateway drug, so to speak, for a younger generation. Just as I was hooked for a while on Beringer’s white zin, the millenials amongst us are drinking Barefoot. I say, don’t judge. Because sooner than later, those millenials may be planning vacation trips to Sonoma and enjoying wine tastings every weekend at Party Town and Party Source. I started this blog almost 8 years ago because I loved wine, I loved writing, and I wanted to share with the world. Much to my surprise, the world actually gave a damn for a while. Life has changed a lot for me in the last decade – particularly in the last 2 years. For those of you who don’t know, I’m now living in the San Francisco area. Turns out, I picked one of the most expensive areas in the country, so there’s been a lot adjustment to the new price tag of life. A lot of other things in my life are changing too and I haven’t paid as much attention to this blog as I should. Thankfully, Cresta and Angela have really picked up the slack. 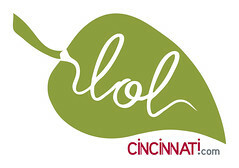 Both based in the Cincinnati area, they make sure you’re getting reviews and event notifications of great things happening back in my hometown. For me, this is still a regional blog and Cresta and Angela are the heart of that. In the midst of upheaval, I’ve still had some great experiences in the last couple of years. I tried some great wine. I went to Paris and Bordeaux. I passed the level 1 sommelier exam. These are all things I should write about. Maybe because of the other changes in my life, I’ve been suffering the world’s largest case of writer’s block. I used to love writing. Now, I have an experience (such as Bordeaux) and I truly want to share it with you. But not in writing. The idea of sitting down at the computer (I almost said “typewriter”) and pounding out a blog post seems unappealing to me. It seems like work, and not something I love to do. I look at other wine bloggers, especially the ones who, like me, have been in this game since the beginning, and I’m amazed at their continued tenacity and passion. I’m jealous. You’re my readers. You are exceptionally loyal. You’ve welcomed my reduced presence and my great new team with open arms. I can’t thank you enough for that. I ask you, the readers (and for that matter, you PR folks out there too), to have just a little more patience with me. I’m trying to find a way to either make writing fun again or find some alternative means of using this blog to share my wine experiences. I’m open to suggestions. With all the holiday parties and excessive drinking to make it easier to hang out with relatives, I just wanted to post a reminder to stay safe. I’m currently in San Francisco, where it’s fairly easy to find public transportation or catch a cab (or an Uber car). But there are cabs in Cincinnati too. If you’ve got a smartphone, be it an Android, Blackberry, or iPhone (or anything else), there is most likely a taxi app for your phone. No kidding. Go to the iTunes store and search for “taxi.” It’s ridiculous the number of apps that are available. I prefer to use Taxi Magic out here in San Francisco, and in Cincinnati, I always preferred Cab4Me. The various taxi apps use your GPS or cell signal to figure out where you are, and then shows you a list of local cab companies. If you’re traveling, this is a godsend. After all, you might find yourself standing on a street corner in a strange city, wondering where in the world all the cabs have gone. If that happens, it’s handy to have an app that will tell you not only what the nearest cab companies are, but where the nearest taxi stand is located. If a cab company is found in our database, you can get additional information like available car types or payment methods. If we do not have a cab company for your area, a local web search is performed. You will always get a result. In the Favorites tab you can quickly access your favorite companies and the recent tab shows companies you recently called. Isn’t that great? You’ll even be able to request a minivan so that you and all of your slightly tipsy friends can pile into the same cab. On New Year’s Eve, you can also generally call Care Cab, a joint venture between AAA and MADD. Regardless of how you find a cab, just make sure you find one. It’s okay to enjoy yourself, and enjoy yourself a lot – just be safe about it. This is completely off the topic of wine, and for that I apologize. But it’s also something I sort of let slip through the cracks in the midst of a dozen other things. In the real world, I’m an instructional designer and trainer with a soft spot for gadgets and mobile devices. I’ve never been to South by Southwest (SxSW) even though it’s really right in my bailiwick. This year, I partnered with a colleague at Yahoo! and we submitted a presentation to SxSW. It’s about designing content that works as learners move from device to device to device. For instance, I can seamlessly access and continue what I’m doing on Facebook or Yahoo Messenger as I move from my iPad to my mobile phone to my laptop. But imagine having to design mobile learning for multiple devices? What design considerations go into that? And that’s heart of our proposed session. At SxSW, the audience gets 30% of the vote on what will be at the conference. So you get to vote! You’ll have to create a free account (which is very quick) and then just click the Thumbs Up button on our panel. That’s it! It will take 5 minutes or less. Thanks so much and know that I appreciate your vote on this! Hello, I’m Angela Laible and I love wine and I’m excited to be a contributing writer for wine-girl.net! I grew up in the wine world (sorda), my Uncle Richard was a Sommelier and traveled all over the world to sample wines, lecture on wines, visit wineries, and buy them for a national wine distributing company. When he traveled my family could always expect a box of wines shipped to us. My family never knew what country the box was coming from. I got to taste the wines watered down and my parents would explain what type of wine I was experiencing. This started the whole love of wines for me. I grew up in Northern Kentucky; my parents started Main Strasse Village in 1972. I helped open 2 bars in Main Strasse; Cosmos and Zola’s. One of my favorite wine restaurants is located in Main Strasse, Bouquet; it is one of the best hidden secrets in the region! I believe my wine experience comes from family introducing me to new wines, being a Mixologist and bartender for over 13 years for 10+ restaurants and bars (Waterfront included on that list), attending various wine tastings all over the region, and having an open mind when trying new wines. I’m also a KY bourbon girl; I graduated from the Woodford Reserve Bourbon Academy. My Communications/Web Project Management consultant background supports my love affair for wines. I have a BA in Theatre Administration and I’m a CIW Internet Web Master. I worked in nonprofit as a Communications Specialist, Web Project Manager, Marketing Director, and Publications Director for over 11 years. I’m now a Communications/Social Media/Web Development consultant and the great thing about being a consultant is meeting new people and helping them. I live in Newport with my boyfriend Tony, cats Tigger & Hiro, and pug Sophie.